Contest Reminder: Win a Game of Thrones Sword Logo T-Shirt! HBO has been sponsoring T-shirt giveaways for us following every episode of Game of Thrones throughout the first season. 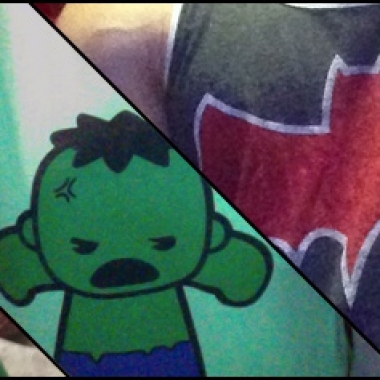 The final contest is nearly finished, but you still have time to enter! Contest: Win a Game of Thrones Sword Logo T-Shirt! It’s time for our final giveaway tied into the hit HBO series Game of Thrones! This week we have a shirt featuring the series sword logo up for grabs. You can buy the shirt at the online HBO Shop, but you also can win one right here! Contest Reminder: Win a Game of Thrones Tyrion Lannister T-Shirt! Our next Game of Thrones contest will be ending soon, so don’t miss your chance to enter to win a Tyrion Lannister T-shirt! 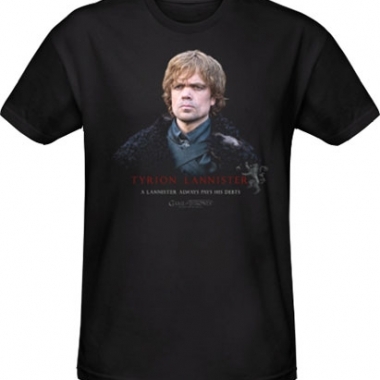 Contest: Win a Game of Thrones Tyrion Lannister T-Shirt! It’s time for our next giveaway tied into the hit HBO series Game of Thrones! This week we have a shirt featuring Peter Dinklage as Tyrion Lannister up for grabs. Contest Reminder: Win a Game of Thrones Stark Family Tree T-Shirt! Our next Game of Thrones contest will be ending soon, so don’t miss your chance to enter to win a Stark Family Tree T-shirt! 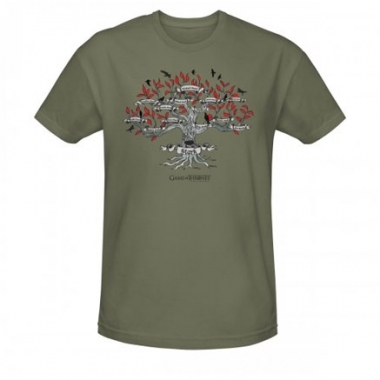 Contest: Win a Game of Thrones Stark Family Tree T-Shirt! It's time for our next giveaway tied into the hit HBO series Game of Thrones! This week we have a shirt featuring the Stark family tree up for grabs, detailing the house lineage. 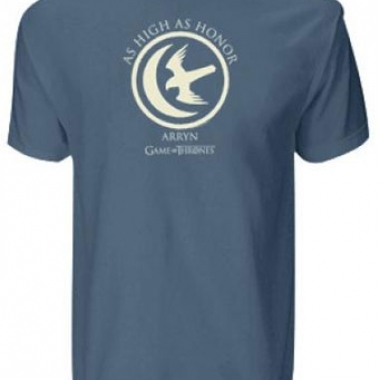 Contest Reminder: Win a Game of Thrones Arryn T-Shirt! Our next Game of Thrones contest will be ending soon, so don’t miss your chance to enter to win an Arryn T-shirt! HBO is sponsoring this latest giveaway, and they’ll be bringing us a new shirt each week throughout the first season of the epic new TV show. Contest: Win a Game of Thrones Arryn T-Shirt! The seventh episode of HBO’s Game of Thrones aired last night, and today we’re beginning our next giveaway tied into the series. This week we have the Arryn t-shirt up for grabs, featuring the sigil of the family’s house. Contest Reminder: Win a Game of Thrones Tully T-Shirt! Our sixth Game of Thrones contest will be ending soon, so don’t miss your chance to enter to win a Tully T-shirt! HBO is sponsoring this latest giveaway, and they’ll be bringing us a new shirt each week throughout the first season of the epic new TV show. Contest: Win a Game of Thrones Tully T-Shirt! The sixth episode of HBO’s Game of Thrones aired last night, and today we’re beginning our next giveaway tied into the series. 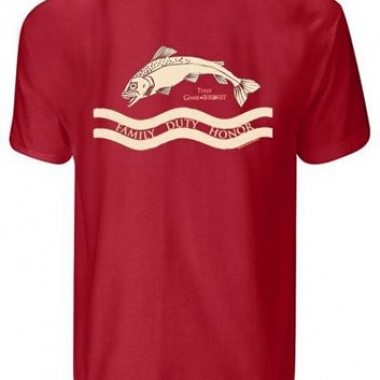 This week we have the Tully t-shirt up for grabs, featuring the sigil of the family's house. 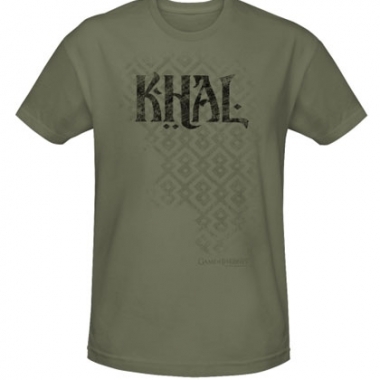 Contest Reminder: Win a Game of Thrones Dothraki T-Shirt! Our fifth Game of Thrones contest will be ending soon, so don’t miss your chance to enter to win a Dothraki T-shirt!